This week, a new version of the Nintendo Switch is expected to release late next year, Nintendo of America President Reggie Fils-Aimé breaks down Nintendo’s competitive philosophy, and ESA CEO Michael Gallagher steps down after 11 years with the organization. 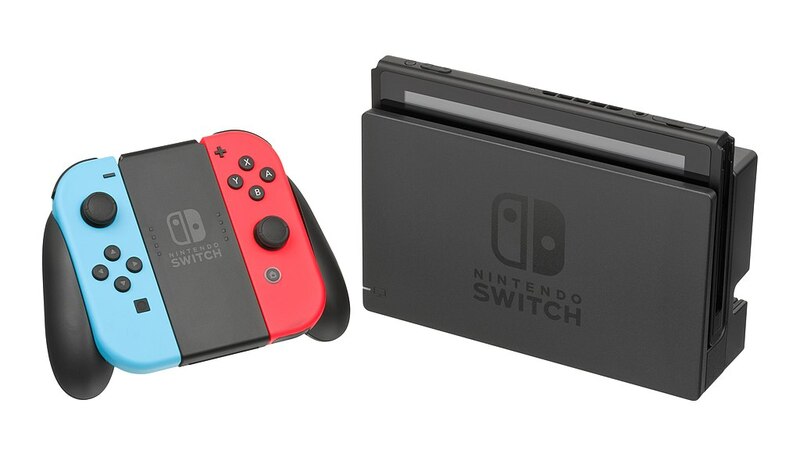 The Wall Street Journal reported on Nintendo’s plans to release a new version of the Switch in the second half of 2019. According to their sources, Nintendo has yet to finalize their plans for iterating on the console. The Verge noted that, though the Switch is a quality piece of hardware, there is still room for improvement as Nintendo attempts to maintain sales momentum. The Wall Street Journal speculated that the Switch’s low-grade, power-inefficient LCD screen could be replaced by a higher-quality one. TechCrunch noted that an OLED screen like the new iPhone’s would be highly unlikely as Nintendo prioritizes affordability in their products. Polygon made a wishlist of feature iterations they would like to see including a brighter screen, bigger and more ergonomic Joy-Cons, more internal storage, larger Wi-Fi range, and more. Earlier this Week, Nintendo of America President and COO Reggie Fils-Aimé made an appearance at the GeekWire Summit. In his Q&A, he stated that Nintendo thinks of itself as an entertainment company and not a gaming one. As such, he said it would be shortsighted to think of just Sony and Microsoft as Nintendo’s chief rivals, instead competing for consumers’ overall “entertainment time.” That means competing with web-surfing, movies, TV, and more, not just other gaming platforms. He cited the underperformance of the Wii U as being crucial to the development of the Switch, as Nintendo learned some hard lessons about what their consumers wanted out of a Nintendo console. He also expanded on Nintendo’s mobile strategy, explaining how they couldn’t simply port past games to smartphones, but instead had to create unique, fun mobile experiences. To TechCrunch, this explanation “rang a bit hollow,” as Nintendo’s smartphone games rely heavily on microtransactions and grinding, which are typical in the mobile games market. According to the publication, this deviates heavily from “Nintendo’s core mission of entertainment.” Ars Technica’s coverage also touched on Nintendo’s vision for exploring newer technology like augmented and virtual reality. Fils-Aimé confirmed that Nintendo in the process of exploring these spaces, but have nothing to announce at this time. Entertainment Software Association (ESA) CEO Michael Gallagher stepped down earlier this week after 11 years in leadership. Aside from organizing E3 every year, the ESA also plays a huge role in swaying legislation around video games and outlets like CNET listed some of Gallagher’s notable accomplishments in that realm. For instance, in response to the controversy around the Sandy Hook Elementary School shooting in 2012, the National Rifle Association (NRA) blamed violent video games for contributing to gun violence. Gallagher met with Vice President Joe Biden to convince him otherwise, citing research contradicting the NRA’s claims. He also helped prevent the passing of a California law that would restrict the sale of violent video games to minors in 2011. With a wealth of political experience under his belt, VentureBeat reported that “[they] heard” Gallagher may be planning to run for office in his home state of Washington. Initial reports of Gallagher leaving the ESA did not specify reasons for his departure, but Variety reported that Gallagher was apparently pressured by the ESA’s board to step down. They reached out to ESA for comment, but the organization declined to comment.